Hazelnuts, white chocolate and pumpkin spice biscotti are the perfect combination for these crispy “adult” cookies. Biscotti is an Italian crescent shaped cookie that is twice baked and perfect for dunking into coffee, tea or even milk. I love biscotti cookies with warm milk. A few other favorites are Pistachio Cranberry Biscotti, Chocolate Pistachio Biscotti, and Chocolate Chocolate Chip Biscotti. If you have electricity and a warm oven to bake these in today, take a moment to be thankful and think about the hundreds of thousands who do not. It’s Sunday, day seven of no electricity for many of us on the South Shore of Long Island, Staten Island, Brooklyn and New Jersey. It’s getting cold outside and gas has been very hard to come by, but I am fortunate I was able to stay at my Mom’s last night. I am thankful for my family, the roof over my head and hot food to eat and so sad for those around me who lost everything. I donated clothing, donated to the Red Cross, and plan on doing more once my power is restored and I can get gas. The way I see it, I can’t help everyone, but if everyone helps one person they will be in much better shape. Hope you all have a warm Sunday with your loved ones and be thankful for the little things we take for granted. Add hazelnuts, white chocolate chips and mix. In a stand mixer, mix butter and sugar on medium speed for 1-1/2 minutes. Add pumpkin, vanilla and eggs, one at a time. Add the dry ingredients and mix on low speed until just combined to make a dough. Remove the dough (if too sticky sprinkle flour over it and on work surface). Divide into two pieces and form into long flat logs about 12 inches long x 2 inches wide. Place on the lined baking sheets and bake 22-25 minutes. When cool enough to handle, gently cut the loaves on the angle into 1/2 inch slices (a serrated bread knife works best). Return to the baking sheet fitting as many as you can on the baking sheet, you may need to do this in batches. Bake the biscotti for another 3-4 minutes on each side, less if you like it softer. I just made these today, and after looking at the recipe I realized that it never says to put the pumpkin pie spice in the mix. Might need to add that to the directions 🙂 They still turned out amazing! I couldn't find any hazelnuts, so we used macadamia nuts instead, sooo good! Whats a good replacement nut? I don't have hazelnuts on hand 🙂 Thanks for all the yummy recipes! It is a rainy, cool day here in Nashville and was going through some recipes that were in the "get to" pile, and this sounded perfect. I had everything in my pantry so why not? I did find that I needed to reduce my oven temp towards the end, but these have a really great taste! They came out perfect for anyone who has not tried the recipe yet. To be honest, I have not used a recipe from Skinny Taste that has not come out as I expected. Many Thanks! Gina- you've made me into a baker! I've become famous from your delicious banana and pumpkin bread recipes and have added my own twists along the way. I was hesitant to make biscotti because I always mess up dough. However your instructions were easy and as always the measurements precise. The flavors are SO amazing and delicious. I'll be making more at the request of some who've tasted it and love that I now have a base recipe for biscotti. I just made these without the hazel nuts and they are delicious!! I have gone on a bit of a pumpkin kick this week after Thanksgiving and also re-dedicated myself to weight watchers… I have a massive love of cookies and coffee, together they will be great! It doesn't say where to put the pumpkin pie spice in, I'm guessing it was with the flour and other dry ingredients? That's what I did, they're in the oven right now and smell wonderful! This is SO good! I left mine soft since I'm not dunking it. I will make this again! Another great recipe! I didn't have hazelnuts so used slivered almonds. Excellent! Homemade biscotti! I am in love. Great recipe. Really enjoyed trying this recipe out with my better half and my 11yr old daughter – pity other family members arrived just as they were due out of the oven and they were all taken – so didn't even get to try them :0( …. but not to worry I had fun !! Hazelnuts, Pumpkin, & White Chocolate chips – my 3 most favorite things – all together in a skinny recipe?! You are amazing. Baking this as soon as I get home… and plan to make these & place them into mason jars to use as gifts. Glad you're okay; stay warm & safe, & bless you for helping others too. very thoughtful of you to help all the people in need. its such a sad time. you have put all the amazing ingredient into a great treat. As i was trying to stay away from pumpkin, after too much of pumpkin stuff this year I am tempted to try this one out. This recipe looks absolutely amazing! I can't wait to try it. I'm having my hubby go to the supermarket on his way home to get the only ingredients I'm missing – hazelnuts and white chocolate chips. Debating on trying it with dark chocolate chips instead. How do you think that would be? The recipe calls for superfine sugar… Would that be the same as icing sugar or something altogether different? Thanks – can't wait to try these!! Regular sugar should work, I put it in my magic bullet. I am looking forward to trying this recipe. I am a huge fan of biscotti and it has been on my mind to find a pared-down version of it. Just read in the paper that there are still 1 million people without power in your area and that many are stranded without housing as well. Hoping for restoration of power and supplies and that everyone will be like-minded, reaching out to those in need in a generous way. Yes, going to check on the senior center and see if they are ok today. These look yummy. Thanks so much for all you do. I visit your website often and have made many of your recipes. They have helped me on my journey to lose 35 pounds this past year without feeling deprived. Your post today reminds me what it's all about! I'm gonna try with real chocolate chips. Just don't like white chocolate. I wish there was a way for me to send gas to friends. Hopeful life returns to "normal" soon for you! I'm not sure, I used Pic Monkey to add the type. Thanks for the awesome recipe again Gina! And I am praying that your power is back on soon. I live in FL but was born and raised on Long Island. My whole family is still there ( and NJ). They have power for the most part, my brother in Wantagh doesn't yet. You are all in our prayers as I know how the weather is getting colder and it won't be easy. I keep telling people I may live in FL but my heart and soul is on Long Island. Stay safe! My cousin just moved to FL from Jersey and is saying the same thing. My brother works in Wantagh/Seaford for UPS and all the marinas and businesses, homes on his route were destroyed. My thoughts and prayers are with you and yours. 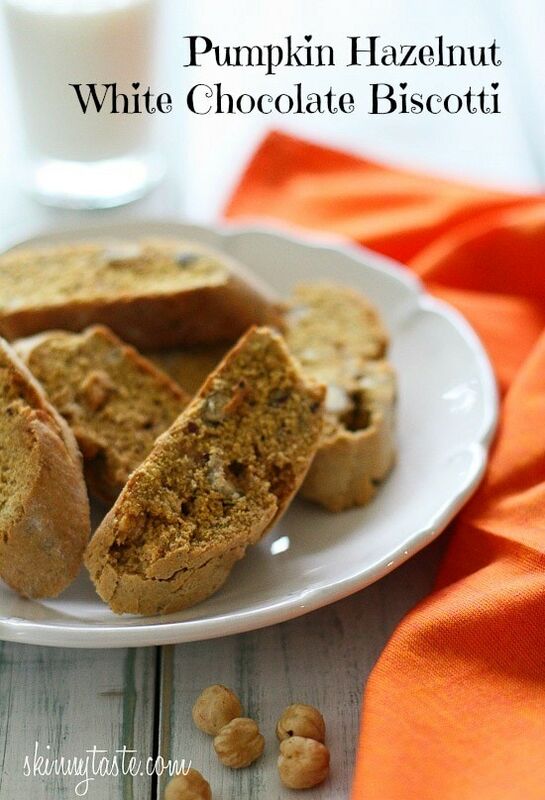 Thanks for taking the time to post such a yummy biscotti recipe. I've bookmarked them to try soon. Love your recipes. cant wait to try these. i am italian and love biscotti. reminds me of back in the day sharing the stella dora,s with my mom. miss her..from long island also, but live in virginia. my family in the hampton dont have power either…prayers and thoughts to you all…. Yes, I remember Stella Doras! We got power back on Thursday and I have been cooking all day today. Hope yours returns sooner rather than later. This has been a difficult time for so many. Thank you for continuing to post, keeping things "normal" in these times means a lot to us all. Thanks Barbara, it keeps things "normal" for me too! 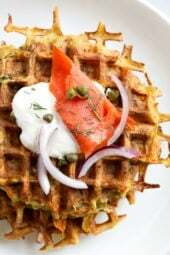 Your site is my go to for nearly all my recipes. And I am SUPER picky about the food I put on my family's dinner table. You are a blessing to us each week and everyone in the northeast is in our thoughts and prayers. Thank you for adding a new recipe during this difficult time. That says a lot about you and your dedication. I agree! I would be a good friend or neighbor and share them! Sending you warmth and light. I just got power back yesterday but no hot water until end of next week. I hope this nightmare is over for all us in the northeast soon and we can resume life. totally agree with your sentiment of helping others. p.s. 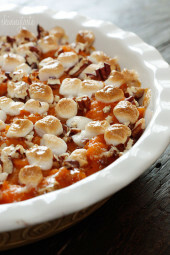 also love this recipe, i'm a sucker for all things pumpkin! I love biscotti and think I'll be giving this recipe a try. My prayes go out for you and your neighbors, that your power will be restored quickly. You are a champ to still be posting so faithfully! You are amazing. God bless. You are really awesome, and by the way, you already are helping many with all your recipes and work preparing them. I love, though, that you want to do more, especially for someone affected by Sandy. God Bless You, and I love your recipes. You're teaching me a new way to think about preparing some of our favorite foods. i'm so sorry to hear you still have no power. you are very lucky to have your family. this biscotti sounds so good. i hope your week gets brighter. Unaware that my husband was following this blog, he asked that I make these for him. Off to the store I go. 😉 I think I'm going to double my batch and give some to my neighbors who are returning from out of state tomorrow. Love all of your recipes! About how long do you think these will last in an air-tight container? Hugs and prayers to you! God Bless! Definitely keeping everyone affected by the hurricane in my thoughts and prayers. I absolutely love biscotti and these would be great ones to add to my repertoire. in oven and now realize the puree didn't go in. I caught the pumpkin pie spice tho. Can you add to directions? didn't seem to hurt them! Stored in freezer but I've eaten all of the crumbs! 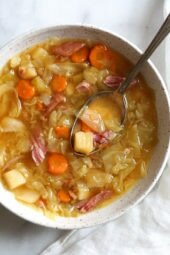 I've been cooking recipes from your blog for a year now and my family loves everything that you create! Just want you to know that you are in my thoughts and prayers as well as the rest of the victims of the storm. Thanks for all of your yummy, healthy recipes. Mmmm… very easy recipe to follow and healthy indeed. I want to bookmark for the Christmas holidays. Sending you hugs darling! YES I agree with your words. I have been keeping everyone in prayers and hopefully your power will be returned soon. Gina, you make losing weight tasty and easy! Thank you!